When you wanted to buy furniture in 1980's in a small town, the first store you thought you would go to was a big furniture store where you could buy from shoe cabinets to beds. Those were just expensive. And you wouldn’t buy furniture many times in your life. You would buy furniture when you move or get married like such a big event. The high price tag and rareness to visit a furniture store make people think furniture like not an everyday life tool. The furniture before was made only by skilled craftsmen spending days and months out of the wood of more than 100 years old. This fact makes much more people think that the furniture is something you can’t come by easily. But nowadays to make furniture , even though some craftsmen skills are still needed, that is required less than before. Many processes have been replaced by computerized machines. And the cost to make furniture gets less. Instead of a big furniture store which carry expensive pieces, people tend to come to a store where they can buy easy and cheap knockdowns. Then furniture get closer to everyday life. That is good. But there is something missing in easy and cheap knockdowns. That is the people heart, we believe. No matter who makes, people or machines, we want to feel the human touch in the pieces we use everyday. Even for the machine-crafted pieces , we believe we can feel the human touch if those pieces are made by people, who design pieces, and put programs in the machines , and press the buttons, spend time to think about how much the pieces means to customers’ everyday life. The smaller town you live in, the hard you find a store where you can find the pieces with the human touch. People used to go to small stores to buy good pieces. But those have been replaced by national chain stores. That is more so in a small town. If people in a small town want to buy the good pieces, they have to go to bigger cities. The small town is left behind from the good pieces. That means people in the small town have no choice but taking the second best. Comfort Mart is totally again that. We are proud of and stand on the high standard . We never give up on people who want to use the real pieces even in a small town. We provide high-end and world class pieces. Our knowledge about furniture go far much beyond what you think it would be in a small town. We opened up the store for people in this small town but now many customers from outside of the small town also come and shop at our store. We are fully responsible for the pieces we sell, even vintage pieces. Our skilled expertise can support our customers all way thru the product life. The vintage furniture refurbishment skills we have developed over the years now can be used to repair the furniture at customers’ home. 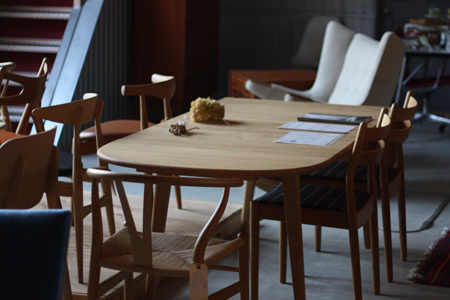 Vintage and new Scandinavian modern furniture and furniture refurbishment. The store called "ilikes" is actually pronounced "ili-kke" where we only sell what we love personally. The store name "ilikes" is composed of the two parts which are "I" and "likes". Obviously you never say "I likes" that is totally wrong in the English grammar. After putting the two words, I and like, together , the word “like” becomes a countable noun. Then since we want a lot of "ilike" at the store, we have the word changed to a plural form by putting "s" at the end. Yes, "ilikes" is original and unique word. What we want to show to you is the ones which can stay with you for coming long years. These things don't have to be expensive but more like "precious to the heart". For example, the gift you are given by your own child is just precious no matter how much it is. This is bright as much as a million dollar diamond. The gift will be with you at your heart for long years. That is because, we believe, your child love you and a lot of love is put in the gift. You see the love thru the gift. Like a gift from a child to a parent, there are still a lot of things in Japan as well as in the world in which you can feel the love to you from these artists and producers. Those artists and producers think everyday about you. The profound careness passes down to you thru a product. It will be with you for coming long years, we believe. Since we are small, the resources are limited. Then we don't think we can introduce a lot of things at all once. But we go step by step to select things we introduce at the store in a small scale. We travel in Japan as well as in Scandinavian countries and see artists and producers face to face to check how much the things from them are worth for you. 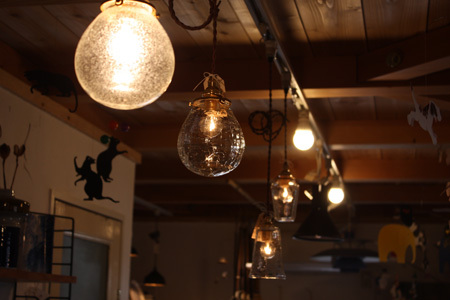 Vintage and new Craft goods from all over Japan and Scandinavian countries.